Today I woke up to find that Thomas LaRock (blog | twitter | linkedin) has added me to his SQL Server Blogger Rankings list. WOW! 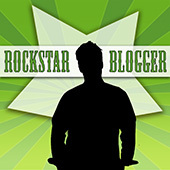 I’m completely honored to be listed among this world-class list of the best bloggers in the industry. He created a new section on the list for ‘Virtualization’ blogs, and my friend Allan Hirt (blog | twitter | linkedin) of SQLHA and I were added to this new category. Another Linchpin People associate, Joey D’Antoni (blog | twitter | linkedin), was also added to the list to the msdb category. That makes six Linchpin People on the list! 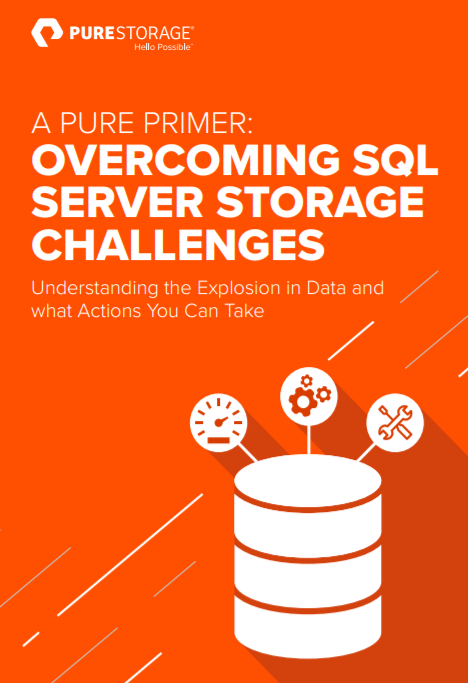 If you are looking for the best SQL Server blogs in the world to follow, start at his list. I have been constantly updating my blogroll for years now from the recommendations made in this list. I am proud to have made it onto this list, and I will continue to bring you educational content that will help you with your business technology! Basically,starting a blog its quite simple. Read our reviews on that and let us know your thoughts on it! This past week I attended my third SQL PASS Summit in Charlotte, North Carolina. All I can say is – WOW. What a conference! As I live in Omaha, getting to either of the coasts is a chore, so I’m always traveling for these conferences no matter what coast it is on. I could care less about the travel, but it was fun seeing a part of the country a little closer to where I grew up (Georgia) instead of rainy but pleasant Seattle. First, I flew into Charleston, South Carolina and spoke at the inaugural SQL Saturday in Charleston. I thoroughly enjoyed this event! The attendees were enthusiastic and full of great questions and comments, the coordinators did a great job, and the volunteers and staff from the university were truly exceptional. Well done! I can’t wait to see you all next year! At the gathering after the event, another surreal moment from that portion of the trip was introducing a newly found friend from Germany (JP) to true SC southern cuisine, complete with baby-back ribs and an actual shot of sweet tea. The next week in Charlotte was almost a blur. I spent almost all of my time networking with the SQL Server community, and was barely able to attend any sessions. This year I felt was the year of the #sqlfamily. I know it is cliche, but the SQL Server family truly is a family. This year it REALLY came together. The friends that I have made over the years, plus the new friends I make from each conference, are some of the best people that I know, and getting to see some of them only once a year makes me want to catch up as much as I can with them during the conference. Putting in-person faces to Twitter personas is the icing on the #sqlfamily cake! The after-hours planned and unplanned gatherings were amazing, and I never got back to the hotel room before 1am each night, and sometimes it was much later than that! For those of you who are like I used to be, somewhat introverted and shy, fear not. To truly get the most out of this conference, force yourself to go up and introduce yourself to just five people throughout the entire conference. Just do it once. Every time afterwards, it gets easier. This is the most easily approachable and friendly group of technologists that you will find, and I know that you will not be disappointed! The Community Zone and the vendor exhibition hall were also a huge success. I spent a lot of time in the “Consultant’s Corner”, mostly comprised of Linchpin People (with my friends and co-conspirators Mike Walsh, Tim Radney, Andy Leonard, Tim Mitchell, John Sterrett, and the infamous Brian Moran, as well as everyone else who swung by), the great guys from SQLHA, and the awesome Denny Cherry. I also spent a good amount of time in the Community Zone on Friday afternoon. I met a great amount of friendly people and really enjoyed your conversations. 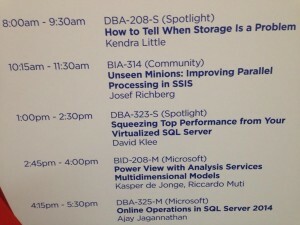 Finally, Friday afternoon I was honored to present my spotlight session on “Squeezing Top Performance from your Virtualized SQL Servers“! I got set up early, as it was right after the lunch break, and had a lot of fun answering questions even before the session began. The wonderful and insightful questions continued throughout and after the session, and I hope I was able to help everyone there take some tips and tweaks back to check out in their environments. Get the most out of your environments! There’s no excuse for not re-evaluating your current setup to see how much more you can get out of it! Feel free to contact me with any questions that you might have. I’m very happy to answer anything that comes my way! I even had the hardware guru Glenn Berry attend my session. Glenn, your sessions are always incredible. Thank you for your kind feedback! As some of you might know, I also have a rather subdued need for speed. Friday night I took a crew go-kart racing at the GoPro Motorplex in Mooresville, NC. Twelve of us total went and did three full sessions on their 55mph, one-mile go-kart circuit. We all had a great time, even though we were all schooled by some of the local racers! Afterwards, some of us went to a North Carolina BBQ joint where JP from Germany got his first taste of pink lemonade (“Can I get this in blue?” was his best comment) and true BBQ pulled pork. 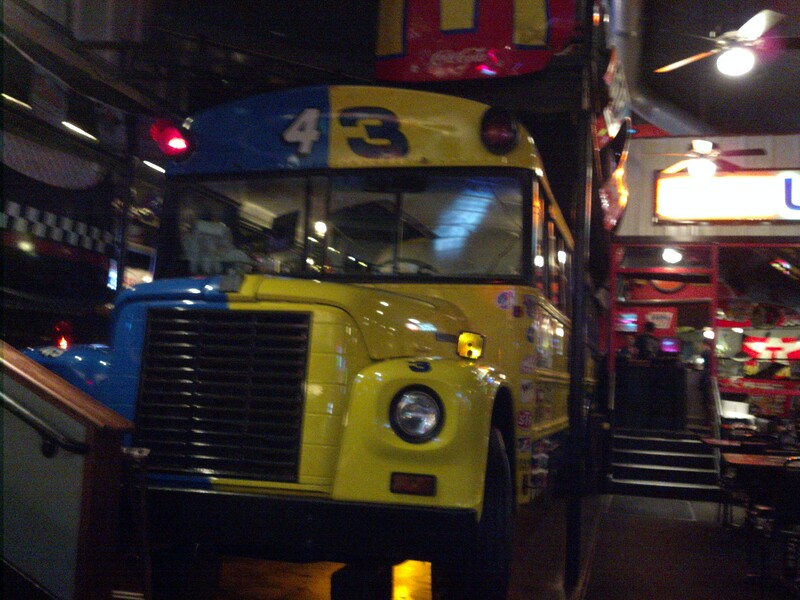 They had NASCAR hoods hanging from the ceiling and a school bus on one side of the bar. It really helped to seal the memories as this perfect week came to a close. I think I’m going to make this type of non-technical but thrilling event a tradition of some sort. Next year, if you are interested, the same group is thinking of doing some sort of indoor skydiving simulator in Seattle. Stay tuned here for information next year during the Summit, and I’ll broadcast when and where this next event will be! I’d love to see the attendee list grow. Kudos goes to SQL Sentry for their incredible welcome to Charlotte and the SQL Server community with the shuttles, maps, event sponsorships, and general hospitality! You all are top-notch! You might ask – what about the sessions I attended? Well, I only attended a few. I spent too much time networking! This is because I planned on getting the Summit videos of all of the sessions. I am still referencing session videos from the past two Summits when different topics come up that I need to quickly ramp up on. Plan on getting the session videos and you have years of reference material at your fingertips! Well done, SQL PASS. Well done. You’ve made a lifer out of me. I will NOT miss this event ever again! So, make your plans now to attend the next SQL PASS Summit next year, where it is back in Seattle from November 4-7. Register early to take advantage of the registration savings! SQL Saturday #233 Washington DC – Preconference session: “Virtualization for SQL Server DBAs” – register for this event here! I can’t wait! If you are in a nearby area, ping me and say hi! Otherwise, I’ll see you at a SQL Saturday and definitely at the Summit next year! Thank you everyone in the SQL Server community. You are the reason why I travel all over the country to speak at SQL Saturdays and other community events. You are why I push to do webinars and user groups. You are the reason why I grew the nerve to take a risk and go out on my own as an independent consultant. Other speakers and I do this for you because you deserve it. This is the best technical community in the world, and I am very proud to contribute to it in my small way. Keep checking in here periodically! I have some exciting research projects and blog post topics that I’m thinking about for later this year. I’m also starting to branch into more public and hybrid cloud technologies, and cannot wait to share more information here for you!